Marisa Bellis, of Animal Management & Behavior Training LL, works with The Family Pet Hospital to ensure its clients are taught training, desensitization and socialization through positive reinforcement methods. Positive associations and training techniques are created for the dog in his environment and at his pace, to assure he grows up to be a confident, calm and secure adult. Did you know that when you coddle a dog, you are accidentally reinforcing fear? Did you know that when you push your dog down from jumping, you’re actually encouraging play? Did you know that choke, prong and shock collars create negative associations and often make behavioral problem even worse? Do you know the proper warning signs of an aggressive dog? Does your dog hate his crate? Is he fearful of the vet? Did you know that if you punish your dog you could accidentally cause a fear-related phobia? Would you like to be walked down the street indtead of being dragged down it? 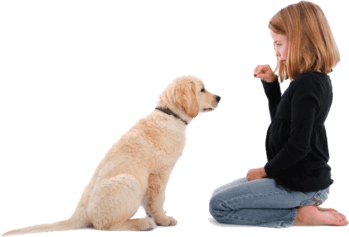 If you want to learn the answers and solutions to these problems and more, consider signing up for a puppy or obedience class and advance yourselves into the Canine Good Citizen class and make your dog work for the benefit of needy and grateful humans. Enjoy your pup now and for life!